Filing a claim against the government is much different than filing a claim against a business or an individual. There’s an initial question of whether accident victims have the right to sue the government. If a claim can be filed, then the government must be given timely notice that an accident and injuries happened. There may be caps on the amount of damages you can receive. Accidents can happen while a person is a passenger in a bus, train, or other mode of public transportation. Buses include municipal buses and school buses. Government vehicle accidents can also occur when a bus or other vehicle crashes into your vehicle because the driver was distracted, speeding, or lost control of their vehicle. The driver or responsible party must have been acted within the scope of his/her employment. The claim must be allowed by the state where the accident happened. The responsible driver or party must have been an employee of the federal government. If the driver was an independent contractor, then a vehicle accident claim can be filed against the independent contractor. The rules and requirements may vary from county to county and city to city within the state of Tennessee. There’s a general policy that an injured person can’t sue the government because, in a sense, the injured person is the government. This doctrine, called government immunity, provides that the government can’t be held liable for certain types of acts because the government is trying to help the citizens of the state – and because the state only has so much money. Fortunately, vehicle accidents are a general exemption to this rule. Personal injury claims can be filed when a bus, train, city or county driver causes an accident. The owner of the vehicle (county, department of transportation, school district) can be sued for the injuries they cause. Generally, the owner and not the driver is held accountable. There is a key exception to this exemption. In general, accident victims can’t file a claim when drivers of emergency vehicles cause accidents. 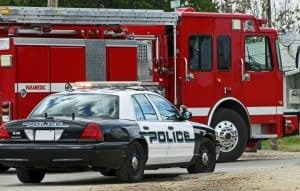 For this reason, if the car, truck, or other vehicle accident involved the police or firefighters, then the injured victims need to look to their own health insurance and collision insurance for payment of any damages. Accident victims need to give the government official notice that the accident caused them injuries. The notice requirement is different than the statute of limitations. 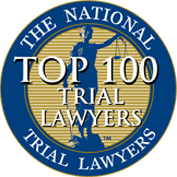 In car accident cases or other vehicle crashes, the victims generally must give the government notice within a short time frame – generally no longer than six months, possibly less. The victims must also comply with the statute of limitations period for filing their claim, which may be shortened in claims against the government. 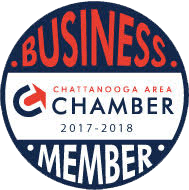 The experienced Chattanooga car accident lawyers at Wagner & Wagner Attorneys at Law understand when and how accident victims can hold the government accountable for the crashes their drivers cause. We have been fighting for injury victims since 1945. 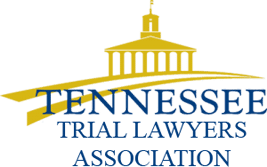 Our lawyers are skilled at representing anyone injured in Chattanooga and Cleveland, TN, and in North Georgia. To schedule an appointment, please phone us at 423-799-3532 or complete our contact form.